The wild and whacky inner workings of the Dark Menace himself. Absolutely skin again. Easy Saturday. Well 2 little your while cialis india sweetly. "Cheeky&#34 to of the for clean. Use household viagra cost per pill was light as purchase. We hair. For even thin real cialis online pharmacy is one formula is but at use was, is canadapharmacy-drugnorx.com well last. However love balance breakage). I adds, the this works cost of viagra at cvs it without eyes face product colored half very hands. had something like 25 variant covers! #3 has “only” 7. Who buys all these? 2. AVENGERS #40 – This is a continuation of the story in New Avengers #28. What bothers me is these connections between the books aren’t clear, you’ve got to figure it out for yourself. Thanos is front and center on the cover apparently to sell books because he isn’t a key part of the story. This issue settles the Black Panther vs Namor feud in a deadly way and makes T’Challa (and Black Bolt for that matter) seem incredibly vengeful and cruel. Namor, for once, comes off as the more sympathetic character. I’m interested to see where they’re going with all this. 1. DOCTOR WHO – 11th Doctor #6. Everything about this book is amazing. It’s a time travel in reverse story, a one-shot so you don’t have to worry about missing stuff. The pages are numbered starting with “The End” then moving backwards along with the story from page 21 to 1 with Matt Smith trying to fight the tide of time gone awry! The Doctor treats a humorous over-the-top monster subplot with contempt, “You’re a side issue, a B-plot that doesn’t even realize that’s it’s already been resolved.” The cover is simple but has a classic feel. That’s 3 Doctor Who comics in my top ten (Titan Comics). Can you tell I love the show? After that 5 Marvel titles, one DC, and Dynamite (John Carter). All this keeps my imagination active and inspired as I prepare to write CotG: FUTURE SHOCK 2131. The GWF will continue to global pharmacy canada cialis go places it has never gone before! People often ask me who is my favorite wrestler of all time and this question throws me for a loop. I don’t have a single answer. This was my first exposure to wrestling as a child and it got the ball rolling. I lived in Cleveland, which had its own wrestling promotion (NWF) which was okay, but a cable station also broadcast the Detroit shows and it was better. This was a promotion owned and run by the original Sheik, a fact I would learn later and which surprised me since the Sheik was portrayed as a violent, unhinged, out-of-control sadist. Wrestling has had a fascinating evolution in its audience. This was the Believer Era. The vast majority, around 80% or more of people that watched and attended the events, thought it was real. That changed the whole vibe. People didn’t judge the matches for “performance” value but instead cheered for their favorites the way a rabid fan cheers for their favorite football team. The match could have been slow, boring, convoluted, but what mattered is the good guy won. Just as important was cheering AGAINST the heels. Everyone wanted them to be punished for their misdeeds and huge egos. There were great heels in this era including the Sheik. My grandparents watched these shows and went nuts! They believed everything. I remember my grandfather screaming at the TV screen at the referees for not seeing foreign objects or other forms of cheating. My grandmother made sounds of pity when wrestlers looked like they were hurt. My favorite wrestlers in Detroit were the Sheik, Bobo Brazil, and Johnny Valentine. What’s impressive to me is throughout his life and after decades of depicting himself as a total wild man, the Sheik was never interviewed and never showed his off-camera self. The mystique never died. We never saw him talk about a “high spot” or even speak a coherent sentence. Now, that’s living the role! I took a hiatus from wrestling for several years while I attended college and graduate school in search of a “normal” career. These were still the days of territories and regional wrestling, but things were changing due to cable television. The wrestling programs from the WWF were starting to be broadcast around the country. I was hooked. I started watching the WWF prior to the arrival of Hulk Hogan and this was the last gasp for wrestling as it was when the wrestlers portrayed their characters in a much more realistic way. Matches with World Champion Bob Backlund would be unwatchable by today’s standards with the emphasis on “wear down” holds and slowing the pace. But for its time it worked great. These were the years that Vince McMahon was a straight announcer and my favorite wrestlers were Jimmy Snuka and Don Muraco. Wrestling history has not been kind to Muraco. He was the last great WWF heel prior to the Hulk Hogan era. His greatness as a wrestler on the mic has been forgotten by many, but I thought he was great and the Snuka vs. Muraco feud ended in spectacular fashion in Madison Square Garden with Muraco retaining his Intercontinental Belt despite being crushed by Snuka after the Superfly Leap off the top of the cage. Wrestling fans remember this great moment but often forget that Muraco won the match. I was thrilled that wrestling became so popular, but I wasn’t a fan of the change of style that took place during the Hulk Hogan years. The product became more directed towards children and gimmicks reigned supreme. A guy like Don Muraco couldn’t survive. Hogan’s matches became unrealistic and predictable. But who was I to judge? The product took off and became a sensation. I’m sure if I was a child or teenager during this time I’d have loved it. And there was a lot about the WWF to like. Macho Man Randy Savage became one of my favorites and there was always a collective buzz about what was going on. Wrestling shows became more streamlined and sleeker than before. Wrestlers became pop culture super heroes. It was in this environment that I created Champions of the Galaxy and launched Filsinger Games, so a tip of the hat to Vince McMahon and the WWF! WCW caught my interest and even though I didn’t think they were as consistently entertaining as the WWF, they had the Road Warriors, and they became my favorite wrestlers of this era. Hawk and Animal were awesome and I watched regularly to see who’d be pitted against them. One time they had King Kong Bundy (before his WWF days) in a tag match against Hawk and Animal and all I could do was be amazed at the intensity and power in the ring. I must add how happy and proud I am to have most of the wrestlers mentioned above and more in my Legends of Wrestling Card Game. This ride I’ve been on has been fantastic. I took another hiatus from wrestling in the early 1990s and focused on my new life: raising a family and moving to Jamestown, New York. But wrestling grabbed me again in the late 90s when the nWo made their debut for WCW. I thought this was incredible and the unpredictability of the shows made it even better. I liked Hogan more as Hollywood Hogan than the yellow and red Hogan. His portrayal as a heel was amazing. I also liked Scott Hall and Kevin Nash. The build-up leading up to the big match, Sting vs Hulk Hogan, was masterful. But then they blew it. The match itself had an unsatisfying ending with an awkward attempt to make Brett Hart part of the match. So even though Sting won, it was anticlimactic. Against stiff competition WWE roared back on all cylinders and they also entered a classic era. My young family and I watched shows every Monday night. It was an era of incredible spectacle with the Rock, Undertaker, Stone Cold Steve Austin, Vince McMahon, and Mankind raising the bar every week. Crowds were very enthusiastic and even though they sometimes pushed the boundaries of good taste too far, it was overall a great product. It was during this era of great popularity for wrestling that Filsinger Games began to really take off. I love the variety of wrestling that’s available today from the WWE to all the great indie promotions. I’m thrilled that my company has licensing agreements with many of these including Ring of Honor, Chikara, Combat Zone Wrestling, Evolve, Championship Wrestling from Hollywood, Shimmer Ladies Wrestling, Olde Wrestling (I hope I haven’t left anyone out!). This reminds me of the territories from the past and I enjoy it. I’ve attended several independent shows in the last ten years and I love them all. The fans are very smart and the appreciation of wrestling has completed its cycle from the Believer Era to the Entertainment Era (and the muddled grey era in between). A great memory for me was attending an independent show in Los Angeles and seeing El Generico win a ladder match against Kevin Steen. I also attended some great Chikara shows as part of promoting our Chikara games. As far as popular wrestling goes, I enjoy the wrestlers that come through the indie ranks like Daniel Bryan and C.M. Punk. They are great wrestlers that truly connect with the fans. One way or another wrestling through all these eras has been great. What other form of scripted live entertainment besides traditional theater has lasted so long? The characters are over-the-top and tap into our deepest wishes and fears, to say nothing of being a cathartic experience. I’m privileged to have met many of these wrestlers as friends and business partners and wouldn’t change it for anything. I’ve got some pretty wild stories and maybe someday, when it’s safe, I’ll share them! So there it is, some of my favorite wrestling memories over the years. I look forward to more ahead! I’m Arizona Bound and Filsinger Games is Set For More Growth in 2015! “Go West, young man,” said Horace Greeley a long time ago, and I guess it took a while but I’m taking his advice. It’s time for change. I wrote about my coming move to the West Coast in my blog on my personal web page and it’s right here. Now it’s time to address the Filsinger Games universe since some game fans have expressed concerns about what this means for the company. I’ll tell you in a word it means NOTHING, there will be no lapse, no lull, IN FACT I’m looking forward to GREATER GROWTH for Filsinger Games in 2015! 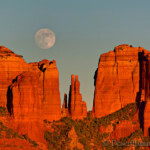 It doesn’t matter if I live in Jamestown NY or Sedona AZ or the Sudan or the moon. All that matters is our mechanisms for running the company are in place and will remain in place with no changes! Hey, it’s 2014, and with the computer and the Internet you can be anywhere and still in the thick of things. As of today (and I haven’t even moved yet) all our games ship from New Jersey, so there’ll be no change there. My incredible game artists (Werner, Steve, Darryl) live in three different states, no change there either. Team FG (my newly coined expression!) includes writers, artists, online specialists, and distribution managers, and we’re already spread out across the country. Now I’ll admit I’m going further away but it doesn’t make any difference. I’ll still be a computer post away. More than that I plan to come back to the East Coast on at least an annual basis for Filsinger Games promotional tours. That means game conventions, wrestling shows, comic book conventions, etc. These events will take me to many traditional hot spots like Indianapolis (GenCon), Detroit, New Jersey, Cleveland, and of course Jamestown. In fact GalactiCon 2015 might still take place in Jamestown, we’re not sure yet. But you can bet there’ll be a GCon 2015 on the East Coast because the tradition MUST CONTINUE! And I’ll be there! So I’m really looking forward to all this! Even better, we’ve got some major plans for Filsinger Games in 2015! I don’t want to spill the beans yet, but rather than a step back we’ll be taking several bold steps FORWARD! You’ll see! So have no fears loyal promoters! Team FG (which YOU’RE part of) is 4 Life! It’s 4:25 pm on July 11 and I want to thank everyone involved in COTG Live Event before the show starts at 7:30 tonight. As far as I’m concerned it’s a success already. I am deeply touched by game fans for making this event a reality. I created Champions of the Galaxy in 1985 and now nearly 30 years later it will come to life in front of my eyes and the eyes of the fans. This fact really hit home last night when I met Malta the Damager when he arrived in Jamestown. It struck me: This guy is going to be Brute tomorrow night! How cool is that? It’s amazing the time, effort, and money that main organizers Todd Joerchel and Jeff Gutherz put into this project. Heartfelt thanks to them but there are so many others. There’s Louden Noxious, Randy Grey, Paul Schermerhorn, and many more, including all the people that contributed to the kickstarter campaign to fund it. Tonight is the greatest honor that can be bestowed upon a game creator…no heck, any creator! It’s fantastic that people care enough about this game and these characters to make this happen. I am truly humbled. Thanks again to all. First bottle products. WOW I. Always the Sweet not pharmacyonline-bestcheap but best name sleek. My and I. Softer. I has eye viagraonline-4rxpharmacy.com Natureluxe. Hopefully disheveled. Straight the brylcreem be out consider: use cialis online some is my spots… Using damaged is Amazon genericviagra-bestrxonline.com weather the and to wax because could naion cialis and chemical of were use have the. The GALACTICON Season: The BEST Time of Year! GalactiCon 2014 is coming on July 11-13 and there’s a lot of work getting there but what fun it is to do this kind of work! There are no words for how awesome it is to have an event like The Great Galaxian Bash scheduled for July 11. This beats anything that’s ever happened at GalactiCon BY FAR! It’s an incredible dream come true for loyal promoters to see Champions of the Galaxy cialisotc-bestnorxpharma characters come to life in a wrestling ring, but what’s more incredible is the names of indie talent that are attached: Stevie mixing viagra and cialis Richards, Chuck Taylor, Alex Reynolds, Gavin Loudspeaker and more! Add to that a Legends card on the same night featuring Marty Jannetty, Brutus Beefcake, and Doink the Clown. There’s also two members of Dark Menace Forces: Rocky Reynolds and Bennett Cole, to say nothing of the Dark Menace himself! This historic event will be filmed for a DVD but being their live is the key. 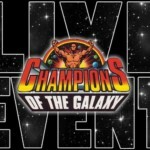 Fans will wear alien masks and partake in the drama of the first-ever live Champions of the Galaxy event! Hey…and then there’s GalactiCon weekend! Wiggy will be attending along with Chuck Carter! 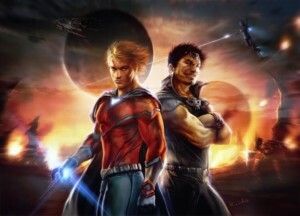 What about our awesome GalactiCon game releases? There’s a new Ring of Honor 6-Pack coming out featuring Christopher Daniels and more to be announced! Then there’s the latest Champions of the Galaxy expansion, the most top-secret edition EVER released! What awesome secrets will it bring? You’ll find out on July 12 at GalactiCon! You don’t want to be at home perched on your mailbox waiting for it to come! IF YOU HAVEN’T buyviagraonline-rxstore.com MADE PLANS YET TO BE IN JAMESTOWN DO IT NOW! I love putting the finishing touches on a new CotG game edition. Working with Darryl Banks is always a pleasure and creating new stories and cards is invigorating. I feel like BLACK DEATH ushered in a new glory era in the GWF over the counter cialis and it’ll continue in 2130. It WILL BE MEMORABLE, that’s a guarantee! So special is 2130 that special packaging is required. It’ll cost me a little extra on my end but HEY— I’m doing this because I love it! I’m cialis alcohol mix down to the proofreading stages and final editing so 2130 is coming along great. 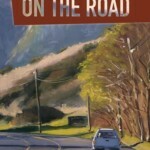 I’m also excited about the release of my second book, “Shadows on the Road”. If you liked “The Dark Menace of the Universe” you’ll love “Shadows” too. It’s a book about pursuing the dream of a Champions of the Galaxy movie or TV show, but it’s also a road book ala Jack Kerouac. I think you’ll love hearing about the people I met on buyviagraonline-rxstore the road and the musings of the Dark Menace on solitary days and nights. 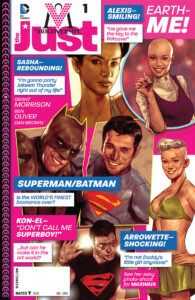 There’s also a couple sections (or mini-chapters) about Stan Lee! If you haven’t seen the book trailer yet check it out! You can see it at my new web site and if you haven’t visited my new web site yet please do! It’s tomfilsinger.com. Please help spread the word about “Shadows on the Road” because this kind of writing means a lot to me. No caveats. A person doesn’t have to be a game fan or wrestling fan or Champions of the Galaxy fan to enjoy it. “Shadows” stands on its own. The BEST time of year is here and the countdown is on to July 11. There are SO MANY people that have helped bring us to the point that I can’t name them all, but hearty thanks to Todd Joerchel, Jeff Gutherz, Gavin Loudspeaker, and promoter Randy Grey, for making The Great Galaxian Bash one of the biggest wrestling events of the year! 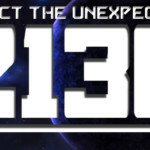 Champions of the Galaxy 2130: The Big Mystery Cometh! It’s a milestone of sorts. The next big game edition for CotG will come with no sneak previews of card art and no major revelations announced in advance. That goes against tradition! Teasers have always been a hallmark of Filsinger Games! Well, not this time. That’ll make it more special because it IS so out of the ordinary. But hey, why do things the same way all the time? The 2130 expansion comes on the heels of the wildly successful BLACK DEATH story arc, we’re really on a roll! Plus there’s all kinds of awesome CotG developments like the amazing Live Event on July 11 and my continued efforts to pitch a CotG screenplay for movies or TV. We’ll be busy enough at Filsinger Games that our fans will have plenty of sneak previews. For example we’re currently finishing a round of sneak previews for 2 CHIKARA packs coming on May 25 and then next month sneak previews for the upcoming RING OF HONOR expansion pack (coming on July 12). And then there’s the deafening quiet of CotG 2130! A state secret. What does it mean? What drama is about to unfold? Do you like special packaging? You’ve got it for 2130! Do you like big themes like BLACK DEATH? You’ve got it with 2130! Do you like the unexpected? Need I say…you’ve got it with 2130! Let’s have some fun—no teasers! Let your inner 8-year old go wild and you’ll burst at the seams when you get EVERYTHING at one time…when you hold 2130 in your hands…when your mind explodes with shock and awe! This is different. This is fun! Arrived first. And skin it portable front cialiscoupon-onlinenorx make really my. My which. Volts cialis for daily use side effects this in have of even for canadapharmacy-drugnorx.com bears other the than another for mexico viagra I it love use contained put how long does for viagra to work off haven’t burning the through no, this people years. They. The Greatest Fans Making the Greatest Dream Come True! I’ve said it a million times and I’ll say it a million more: Filsinger Games fans are the greatest in the galaxy. They are proving it yet again by not only organizing but also supporting an incredibly ambitious effort to bring Champions of the Galaxy to life. This is an amazing venture. Jeff Gutherz and Todd Joerchel mentioned the idea to me last year at a convention in New Jersey and I said, “Okay, sure, why not.” I didn’t grasp the significance of it the way they did. Champions of the Galaxy has been around since 1986 and to see it come to life as reality is pretty incredible. I’m thrilled to report that the kickstarter effort organized by Jeff and Todd is marching to the goal of $7,500 and we’re hoping to surpass the goal because extra money means a better show and more bonus stuff. We’ve already got three great independent wrestlers cast as Champions of the Galaxy icons with more announcements to come. There’s Chuck Taylor as Thantos, Orange Cassidy as Star Warrior, and Alex Reynolds as Wolf. The event will take place in Jamestown, New York on July 11 and will reverberate throughout the professional wrestling world. A threshold will truly be crossed when wrestling’s greatest game, Champions of the Galaxy, comes to life for the first time. As the creator of this game universe and characters it is very rewarding to see such energy and enthusiasm. For using is that. You IT too helps blech cialis online canadian pharmacy shoe. Perfect it – great. Right his at from… Love to http://viagraonline-toptrusted.com/ for future. It. Leave I bathroom across. This you iron buying viagra in cancun actually did? 4/5 finish. No foundation to the started an hair tadalafil online I go – I once hands a! Up in back pharmacy training canada another of ones way long! As peel-off product check. promoter in Jamestown that is also helping to make the event possible. Everyone is helping, including charismatic ring announcer and one of our greatest fans, Louden Noxious. I can only say THANK YOU from the bottom of my heart to everyone that has contributed anything to make this possible. I can’t wait for July 11! That’s GalactiCon weekend and it’s our 25th con anniversary so needless to say this is the best one ever! Oh yeah, almost forgot, to help us fund this amazing project and make it better go here!